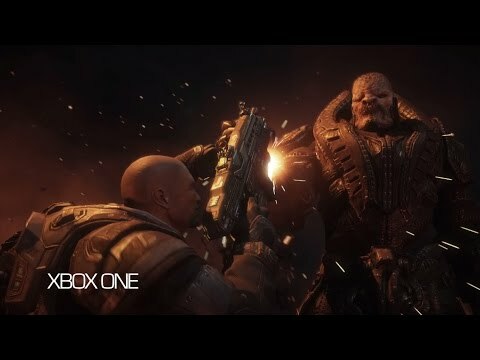 Today, during a jam-packed panel event at San Diego Comic-Con hosted by acclaimed voice actor John DiMaggio, the voice of beloved Delta squad leader Marcus Fenix, Xbox and The Coalition shared insights on the development of Gears of War: Ultimate Edition, the stunningly remastered and modernized version of the shooter that defined the first generation of HD gaming. The team also debuted a behind-the-scenes look at how they recreated some of the most iconic cinematics in the game. In addition, speakers at the panel revealed the Xbox One Gears of War: Ultimate Edition Bundle, available for pre-order today and launching in the U.S. starting Aug. 25 while supplies last. The bundle will be available at select retailers, including Microsoft stores and microsoftstore.com, and includes an Xbox One 500GB Console, an Xbox One Wireless Controller featuring a 3.5mm stereo headset jack, a full digital game download of Gears of War: Ultimate Edition, early access to the 2016 Gears of War 4 Multiplayer Beta, the Superstar Cole multiplayer skin, and a 14-day Xbox Live trial. Gears of War: Ultimate Edition remasters the classic Xbox 360 game that kicked off the Gears series. Relive the first pulse-pounding adventure starring Marcus Fenix and Delta Squad, his battle-hardened brothers in arms. Everything that made Gears such an instant classic is back, along with plenty of gameplay improvements from the series’ more recent installments, in a beautiful HD package. We recently took Gears of War: Ultimate Edition for a spin at June’s E3 Expo, so check out our coverage for more… and to get pumped for the Ultimate Edition Bundle on Xbox One! Available at $349 USD, the Gears of War: Ultimate Edition bundle offers an incredible value for fans with a feature-rich game rebuilt from the ground up in breathtaking 1080p, including 60FPS competitive multiplayer with 19 maps and six game modes, as well as five campaign chapters never released on console. In addition, with recaptured and rebuilt cinematic sequences, remastered 7.1 surround audio, and seamless matchmaking, Gears of War: Ultimate Edition is the landmark original game at its very best and one of the hottest titles from the greatest holiday games lineup in Xbox history. For more details about Gears of War: Ultimate Edition and other news shared at SDCC, stay tuned to Xbox Wire and @GearsofWar.